Bai Aotu stood silently in place without giving chase. Her body jolted fiercely as Nana’s voice arrived from the distance and spat out a mouthful of fresh blood—her face had lost all color. She didn’t linger, either, and turned to leave soon afterward. Many imperial soldiers were puzzled as they watched her receding figure, wondering who had won the exchange just now. Nana’s retreat dropped the curtains on this great battle. With the fall of the Evernight primary camp, the dark race experts withdrew, and Giant’s Repose finally fell into imperial hands. The follow-up squads from the empire soon entered the camp and began the clean-up operations, while those who had been fighting through the night like Qianye returned to base to rest. Qianye followed Zhao Jundu as he gathered the clan soldiers back to base, but they parted ways there. The battle had just ended, and Zhao Jundu was already exhausted. He only told Qianye to rest well before heading off into isolation. Qianye, however, didn’t cultivate. He lay on the bed gazing at the roof as he replayed the battle bit by bit. This was the first time he had joined a battle of such scale. Many of the developments during the battle were things he had never actually seen before. 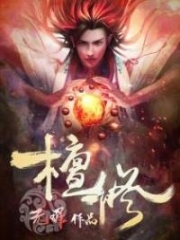 The clans widely accepted as the most powerful—the Zhang and the Zhao clan—had charged at the forefront during the a.s.sault on the Evernight camp. Regardless of how the Song clan had performed during the b.l.o.o.d.y battle, their private army was still fitting of a major clan during this campaign. The high-ranking aristocratic families were below the clans in terms of military power and the missions they had to undertake, but they were still far above the other lower-ranking n.o.bility. One could see the empire’s policy from the military arrangements in battle. That was to maintain a direct relations.h.i.+p between status, authority, and responsibility. Those with higher status would have to take on more critical duties and responsibilities. Personal combat strength was the focus of the b.l.o.o.d.y battle and the exploration of Giant’s Repose. There would be small squads at most. The situation was mostly about taking advantage of opportunities and interfering with one another. But the all-out factional war observed the rules of the empire that had existed since its founding. Perhaps it could be said that Marshal Zhang Boqian had decided to adhere to them. The four clans forming the spearhead wasn’t the empire’s attempt at weakening the clans. In truth, most of the empire’s regular army and elite corps were under the command of the imperial court. The imperial army corps and their experts had joined one after another during this battle—their losses were far above that of the four major clans. Hence, in the eyes of the empire, this was a form of fairness. After figuring this out, Qianye was full of admiration for the founding ancestor of the empire who had laid down this rule. The imperial clan’s dauntless spirit was evident behind this rule—they had the confidence that they would not lose their supreme status no matter how many losses they had suffered in this battle of national fate. In truth, the imperial clan had produced countless heroes, and there was never a weak and incapable emperor. This was especially true of the Martial Emperor who had ushered in a flouris.h.i.+ng era. He was almost the great ancestor’s equal both in scholarly and martial achievements. During the thousand years after the War of Daybreak, the imperial clan had never fallen amidst the great wind and waves. Only then did Qianye recall how he had asked a subordinate officer to find some doc.u.ments on the empire’s military system. He had only fought in small skirmishes before, but now that he was looking to earn military contributions, he would have to engage in a fair number of major battles. He really needed to familiarize himself with the empire’s military system. Following Qianye’s invitation, a young captain entered with a thick stack of doc.u.ments which he duly placed on the table. He then performed a respectful salute before withdrawing. Qianye remembered this captain’s face. 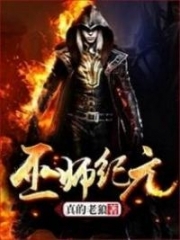 He was one of the soldiers who had responded when Zhao Guanwei wanted to draw people away. But his att.i.tude had changed completely after a fierce battle. Only a hundred or so vanguard soldiers had died during the a.s.sault on the Evernight main camp This was less than a third of the usual losses. Qianye had led the entire a.s.sault at the forefront and even partic.i.p.ated in the final castle raid. His tangible accomplishments in combat won the respect of all the soldiers in the vanguard battalion. After sending the captain away, Qianye sat down in the tent and began going through the military regulations one after the other. He had gained a substantial understanding of the military system after reading through these laws. 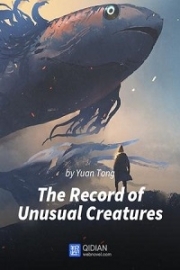 After reading through several books, the tent curtain was pulled open, and Li Kuanglan walked in without so much as a greeting. Qianye knew Li Kuanglan was from the Jingtang Li Clan. The current empress’ family was currently in a fierce conflict with the Zhao clan and very close to shedding all pretenses. It was quite inconceivable for Li Kuanglan to enter the camp without alarming Duke You. “This… isn’t too appropriate is it?” Qianye felt rather awkward. This question wasn’t easy to answer. 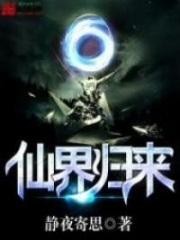 Qianye’s blood energy had advanced during the battle and once again surpa.s.sed his daybreak origin power rank. He could no longer continue advancing his darkness powers. On the other hand, his Profound Combatant Formula required the absorption of void origin power. Zhang Boqian and the other unknown heavenly monarch would surely cause turbulence in the void during their return. He had learned his lesson last time, so he naturally wouldn’t make the same mistake before finding a way to prevent this. Li Kuanglan gave it some thought and found that it was quite reasonable. Many people at the level of Zhao Jundu and Bai Aotu should know of this. It was just that they didn’t want to point it out. Qianye felt cold sweat appearing on his forehead. It wasn’t for fear of fighting with Li Kuanglan but her style. One had to know that this was the Zhao clan camp. Not only did Li Kuanglan sneak in, but she was also looking for a fight—this was a sure way to produce great waves. With her character, a small matter would eventually become a big issue. There was really no telling how many people she would implicate. Li Kuanglan waved her hand in a carefree manner. “What’s with that respectful address? Just call me Kuanglan. I’ll be leaving now.” She didn’t linger at all after saying that and quickly opened the tent curtain to leave. What she didn’t expect to see was Zhao Jundu standing right outside, looking at her with cold eyes. Even the habitually unrestrained Li Kuanglan was shocked out of her wits. “Y-You, how come you’re here?” Her voice contained a trace of guilt. “Hold it.” Zhao Jundu held her back. Qianye walked out of the tent after hearing the commotion and couldn’t help but hold his palm to his face after seeing the tense situation. These two were both proud and arrogant fellows who wouldn’t yield at all. Add to that the background enmity between the Zhao and Li clans, it was quite likely that they would start fighting after a couple more words. “Is there a difference?” Li Kuanglan raised her brows in curiosity. She broke into a sudden frown as though she were pondering something, and then left without a single word. “Don’t worry.” There was no hesitation at all in Zhao Jundu’s reply. “Okay, I believe you.” With that, Li Kuanglan’s figure disappeared with a flash. “What for?” Qianye wanted to say something about how they had exchanged favors without his consent, but Zhao Jundu didn’t give him the opportunity. “I’m going to demand a favor from him.” The latter vanished with a flicker of violet energy as soon as he had said these words. 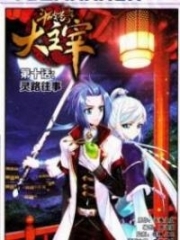 You're Read Monarch of Evernight Chapter 558 online at BestLightNovel.com. You can use the follow function to bookmark your favorite novel ( Only for registered users ). If you find any errors ( can't read,broken links, can't load photos, etc.. ), Please let us know so we can fix it as soon as possible. And when you start a conversation or debate about a certain topic with other people, please do not offend them just because you don't like their opinions. You're reading Monarch of Evernight. This manga has been translated by Updating. 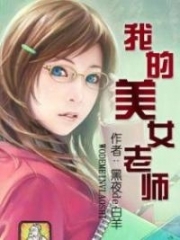 Author(s): 烟雨江南. Already has 121 views. Current Time is 23-Apr-2019 12:42:37 PM.